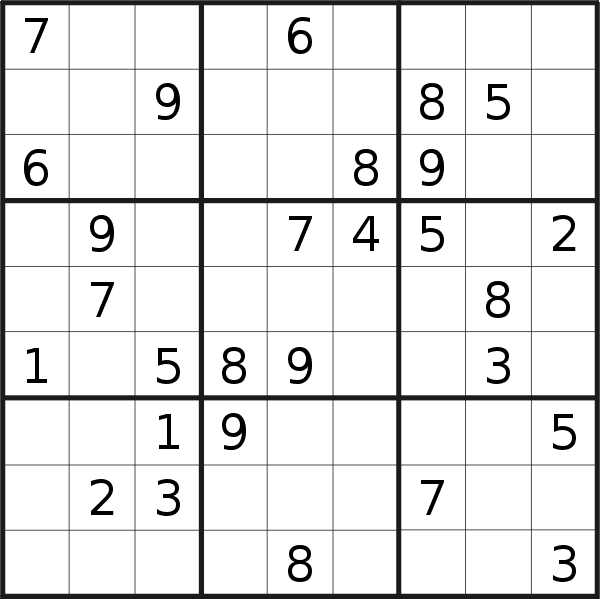 You can play this sudoku puzzle online, print it or view its solution. This puzzle is rated (difficult). Difficult Sudoku puzzles require the use of advanced techniques. It is likely that finding the solution to this puzzle will require the use of pencil markings. You may download it as a PDF file for printing, play it online, or view the solution by pressing the appropriate link below the picture.